Be ready for the greatest utility download practice you have ever had! Find the many software sections, control the actual updates of the general applications, and download software programs for free. Obtain easy admission to all sorts of computer applications: enterprise tools and utilities, games, education solutions, and many others. The Softempire ultimate program collection develops constantly! Every current day carries excellent innovated apps here, the best software utility solutions. Obtain for free and recieve a result! 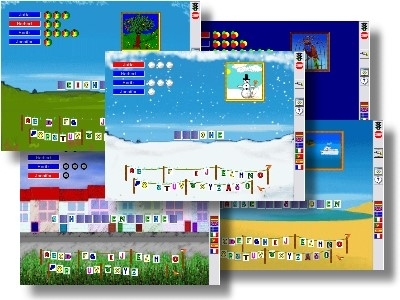 Enchanting word game for one to four children that's played along the same lines as the popular word game Hangman. The object is to guess the word before you melt the snowman.